How to get 1 million visitors to your site per month? Thomas Maier started out developing websites just for fun while in school. As his sites started to get traction he started experimenting with making money with ads. Once his sites started earning some money he decided to transition from hobby to business. Thomas has been building his business for about 6 years. His sites get about 1 million unique visitors a month. He credits his success to testing, patience, creating great content, and listening to his visitors. His company webgilde offers web services and WordPress plugins for monetization with ads. The following interview gives you an insight into Thomas’ business, and it provides you with some actionable advice you can use in your own business too. Success Harbor: Please tell me about your business background? Thomas Maier: I started in 2010 as a freelance developer and quickly found my focus on WordPress Plugins and Magento Online Shops. I was already developing just for fun during my studies and it was back then when I also started a website about word games. It must have been around 2011 when I started with online ads on my site and after it performed quite well I decided to do this as a business and not just a hobby. The site was originally in German but is now fully functional in English and Spanish too. Over the last years, I did a lot of testing and optimization on my site and finally decided to help others do the same. Even though my new company “webgilde” (German for something like “web guild”) is also running the websites now, our main offer for clients is services and software (WordPress plugins) for monetization with ads. Success Harbor: You mentioned that you were doing a lot of testing and optimization. How did you test and optimize your websites? Thomas Maier: I started with simple A/B tests rotating two or more banners from different ad networks on the same spot. Then I created a more advanced test that compared two or more positions and ad sizes. I also test different devices like mobile vs. desktop. It sounds simple, but in an online world with responsive layouts, website cache, hundreds of ad networks and very different types of content, I am never finished. As for the tools, most of the simple tests can be done with a few lines of custom code. For some repeating tasks I started to develop the Advanced Ads plugin for WordPress, so also my less-technical coworker can do the tests, but there are still some complex tests I code by hand. At the end, the tool is not as important as the concept. What is your test about and what does it prove? What I see many publishers doing wrong here is to draw conclusions too early, especially after only a few thousand ad impressions. Therefore, patience belongs into the toolbox, too. Success Harbor: How did you get your first clients for webgilde? Thomas Maier: I learned that some things need time, so before getting started officially, I just blogged about my tests and experience in the field of ad optimization. I did this just once per month, but already in the first months, two clients approached me asking if I could help them set up tests and share my experience. 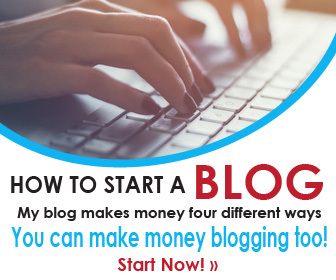 Still, blogging is important to find clients, but I also have an email newsletter where I share more in depth details and also my Advanced Ads plugin starts to convert into businesses of a different kind. To wrap my strategy up, I would say I use different channels to let people know that I am an expert in my field, from a technical, theoretical and practical viewpoint. Success Harbor: Describe the content marketing efforts for your company? Thomas Maier: I am probably very conservative here, but for now I can rely on the Google search results. Good tutorials and articles that help to solve a problem still get high rankings. Sometimes, I try something new, but normally, I write long, detailed tutorials. I get my ideas from problems I am facing daily, but also from my clients and users questions. And I look very closely into the Google Webmaster Tools. They can tell you how people find your site and very often I find new keywords I can blog about. As mentioned, I also started with a newsletter and share my posts there. This is still new to me, but the feedback is very good. Success Harbor: How many websites are you able to monetize, and how do you monetize the sites? Thomas Maier: My sites are all about word games with a focus on anagram games like Scrabble or Words with Friends. We have an editorial part, tools and some games you can play. Even though they have the layout and technical background in common, my English, German and Spanish sites are different in most of the content. We monetize the sites only with ads but are now starting to sell an ad-like service too. It is too early to tell more about this, but I am definitely sharing my experience once we received some feedback. Looking back, I would not start in this niche again, because it has a rather poor performance with ads and affiliate links are not working at all. It is only the high volume of traffic that the sites grew to in the last 6 years that makes it interesting. However, it is the perfect environment to test new setups and ad networks for my clients. Success Harbor: How much traffic are your websites get per month? Thomas Maier: About a million uniques altogether. We currently have a peak, like this topic always has during the winter months. In terms of growth, we were able to almost double the traffic during the last 12 months, because we extended the topic and since we already have some stable SEO power, it didn’t take long to show up top in the search results. However, the basic principle I mentioned above applies here as well. We create good content and look very close at the keywords in the Webmaster Tools to learn what works and what doesn’t. Success Harbor: Where does your traffic come from? Thomas Maier: New visitors come through search engines, but a very high number of visitors are returning directly to our page. Success Harbor: What are the reasons for your ability to generate so much traffic and what can others do to replicate your success? Thomas Maier: 80% of visitors come back because we offer unique tools and content. Especially the tools hook people but are very unique depending on your niche. I also believe that patience helped. It took me 6 years because people don’t just switch to your site over night. The real secret was that I didn’t force it and didn’t have to rely on it financially at the beginning. And again, helpful content that comes from your own experience is a great way to be successful. As a consultant I see very different sites with even a lot of content, but maybe about 70% of them lack uniqueness. Especially those sites without a focus in a topic or niche won’t get noticed, no matter how hard they try to push into search results or Social Media. I don’t have a manual for uniqueness, but if you can provide more value than the others, you have a good advantage. May be you should ask yourself what you are unique in. What do you see or what can you do that others don’t? Success Harbor: What advice do you have for entrepreneurs about being patient about their own businesses? Thomas Maier: I got lucky that I started early as a student. I didn’t have to rely on the extra income and had a lot of time – especially compared to today. You should also not envy those who are successful. For most of them, it wasn’t an easy path as well. I also have more than a dozen unfinished or unsuccessful projects in my closet. When I start a new project now, I work milestones and small goals. Like with webgilde.com. At first, I just started to blog about my experience there. No fancy template, infographics or opt-in forms. Only when I saw that people liked it, commented and asked for more advice, I put more time into it. My experience as a freelance developer helped me as well. It didn’t only lift the financial pressure, but also enabled me to learn more about other sites, WordPress, and business in general. Success Harbor: How can people find out more about your products or connect with you? Thomas Maier: I have all channels open, but the best way to get in contact is through webgilde.com. You can use the contact form and newsletter subscribers also have access to my personal email address.